The Global Solar Eclipse event will be visible from Grenada, as a Partial Solar Eclipse, beginning at 2:32 pm on Monday, 21 August. The eclipse will reach its maximum at 3:49 pm with 0.73 magnitude, and end at 4:55 pm. The entire event is scheduled to last 2 hours, 23 minutes. The site https://www.timeanddate.com/eclipse/in/grenada/saint-georges, shows animation of the event as seen from Grenada. A solar eclipse occurs when the Moon passes between the Sun and Earth, and when the Moon fully or partially blocks the Sun. This can happen only at new moon when the Sun and the Moon are in conjunction as seen from Earth in an alignment referred to as syzygy. In a total eclipse, the disk of the Sun is fully obscured by the Moon. 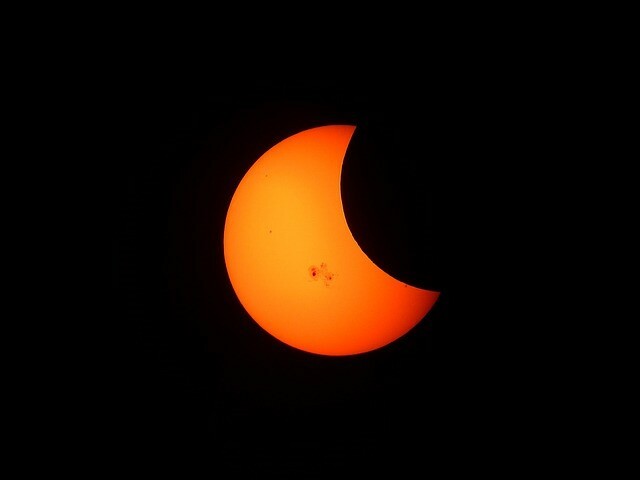 In partial and annular eclipses, only part of the Sun is obscured. The Grenada Handbook states that in 1886, there was a total eclipse of the sun. Astronomers came out from England and chose Green Island, close to the north-east corner of Grenada, on which to make and record their observations. According to the Grenada Almanac 1912 on 10 October, there was also a partial eclipse of the sun visible.